ELF Cosmetics has been one of my favorite brands ever since I got into makeup. 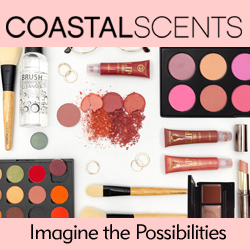 About a year ago, they started to launch their affordable own skin care line in addition to their already amazing makeup products! This week, they’ve gone even further and released their new summer skin care line, the elf Cosmetics Beauty Shield Collection. I’ve gathered up all the information I can find about these products for you, so let’s take a look at what they have to offer! The Beauty Shield collection is their brand new skincare line for the summer. It includes 7 products infused with skin-loving ingredients and protects you from harmful sun rays. These are priced a little higher than standard elf products, but is pretty on-par with the prices from the rest of their skin care line. Elf is cruelty-free. Don’t these products look promising?! I personally have my eye on the Massaging Overnight Recovery Cream, the Daily Defense Makeup Mist, and the Vitamin C Pollution Drops! I’m so curious to see if these products live up to their claims. What are you picking up from the new elf Cosmetics Beauty Shield line?